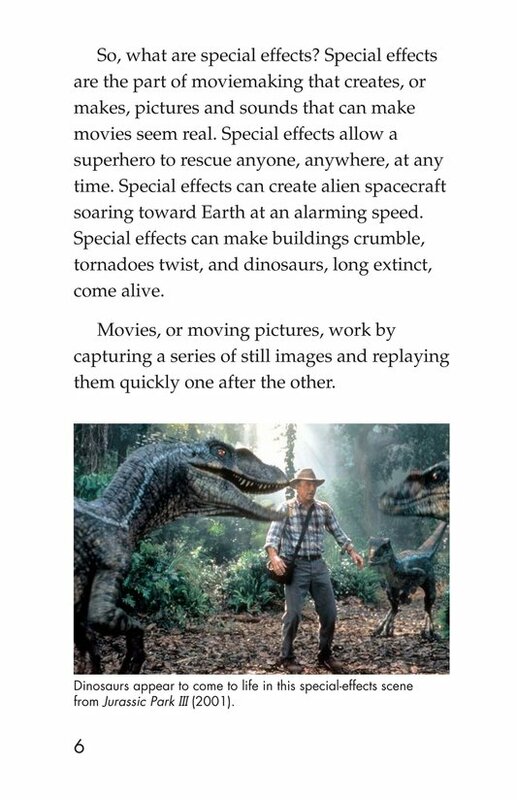 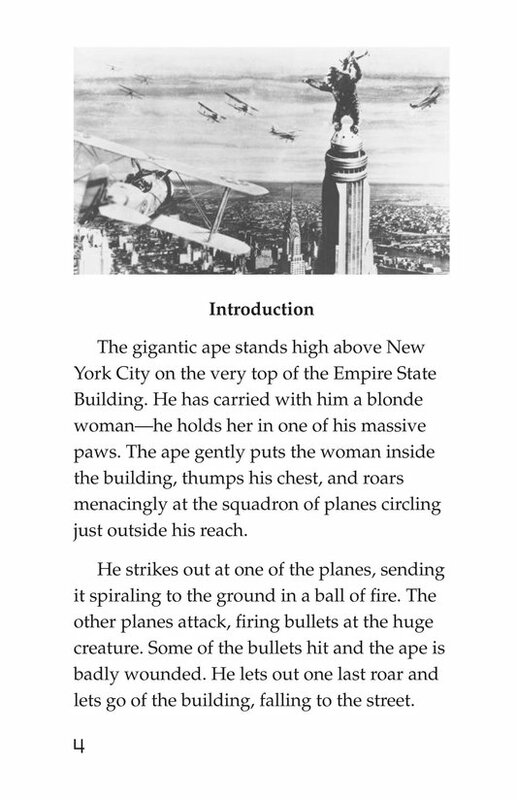 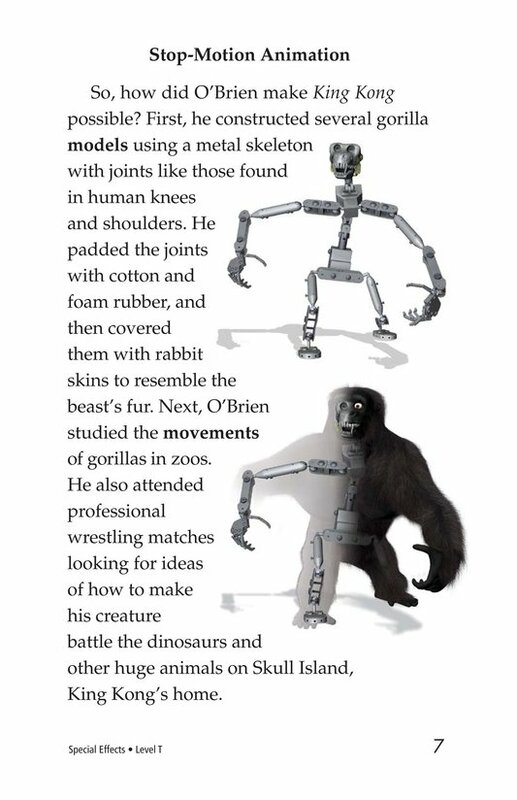 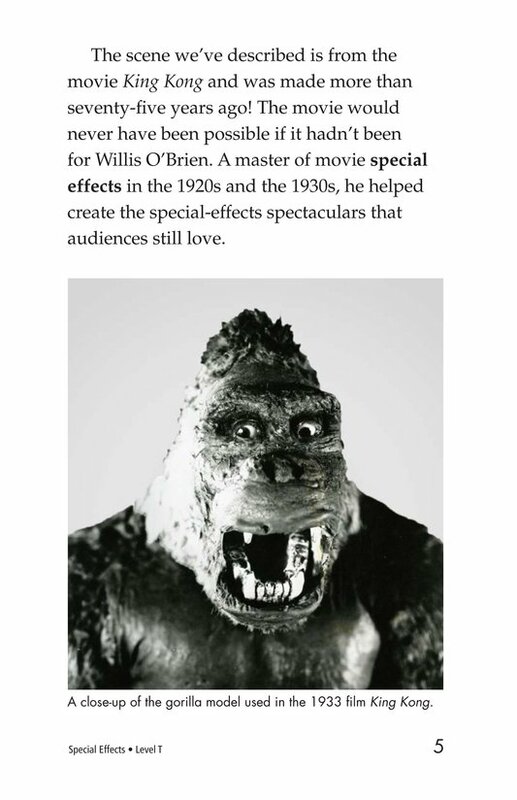 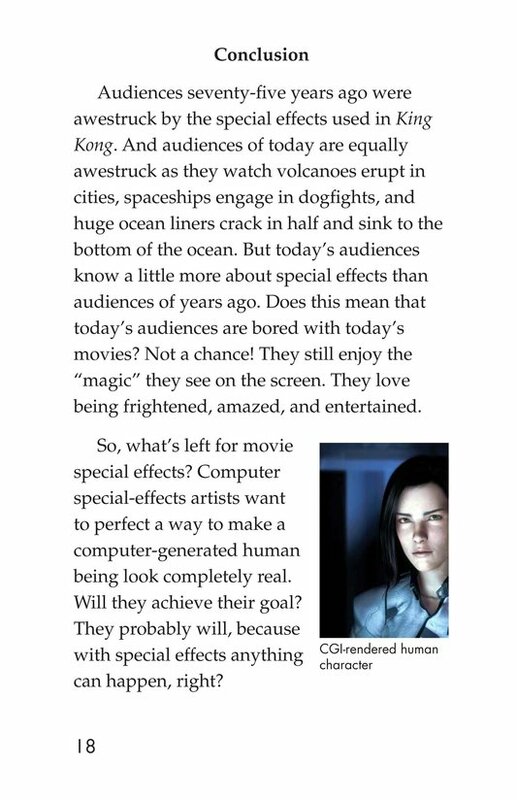 From gigantic apes to alien spacecrafts, special effects help to create images on screen that make scenes more believable and entertain audiences of all ages. 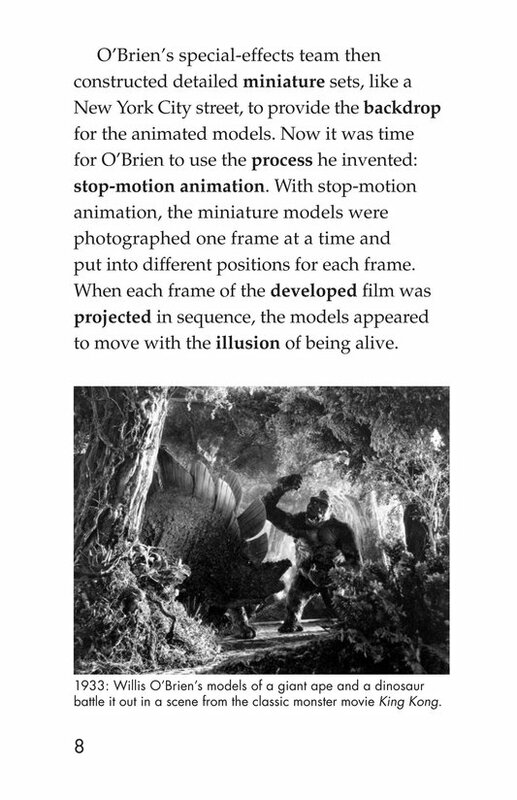 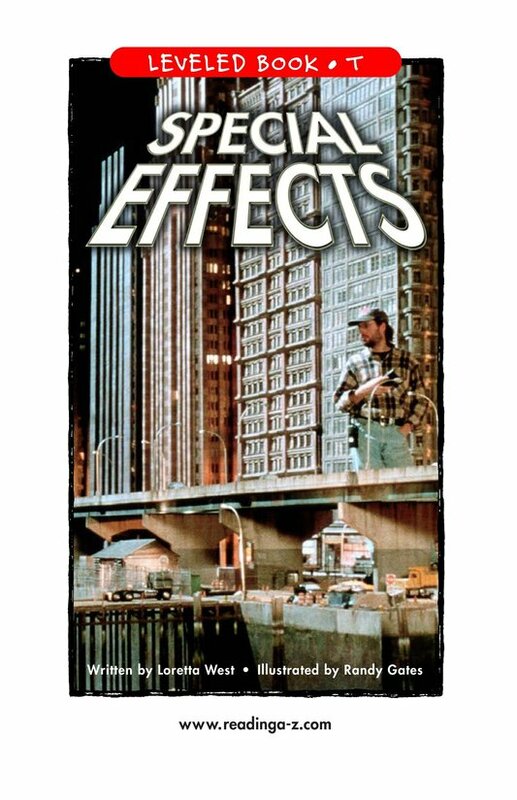 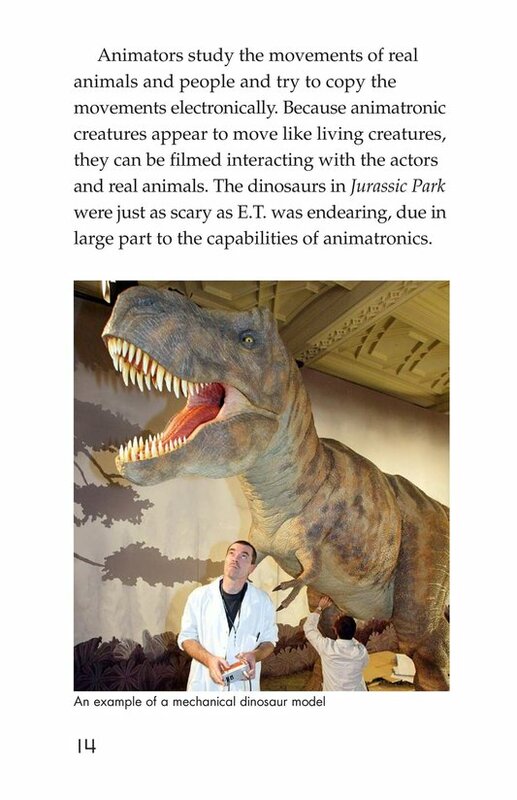 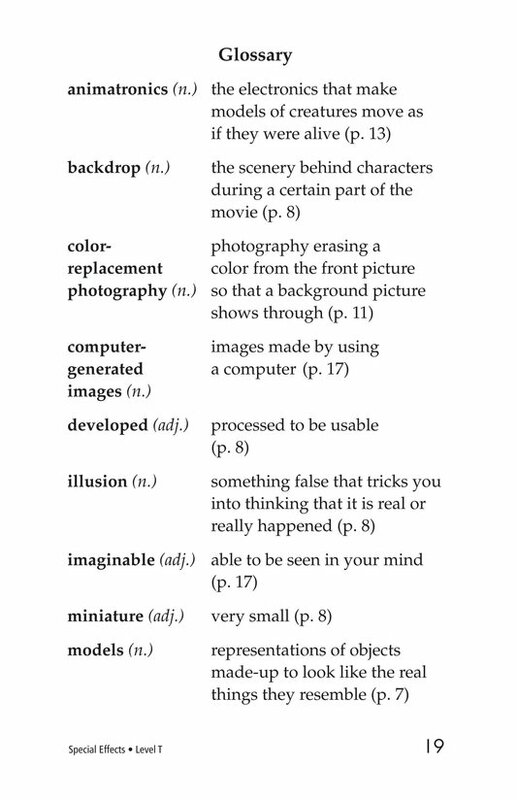 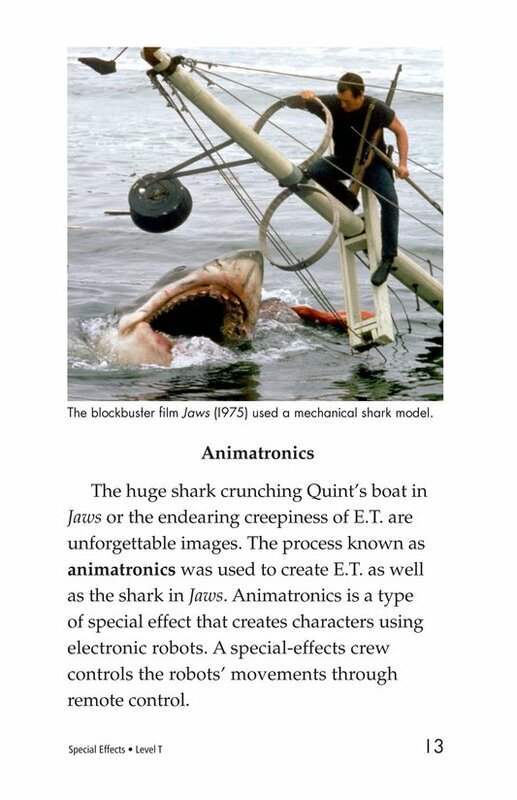 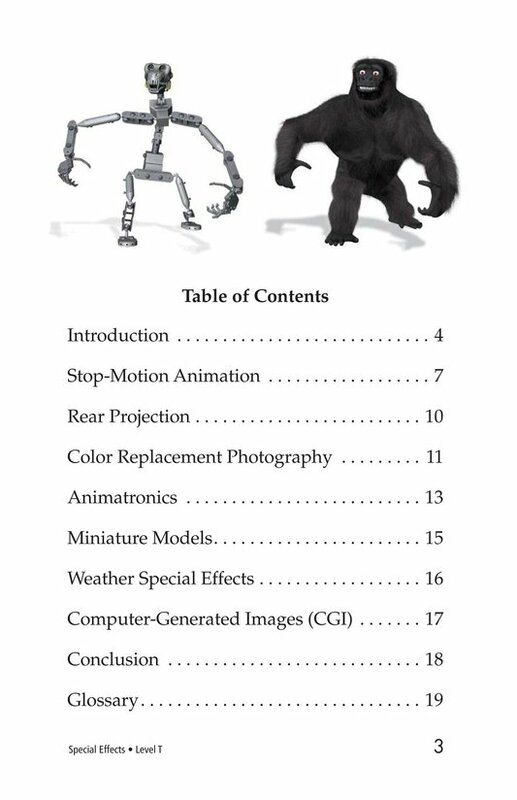 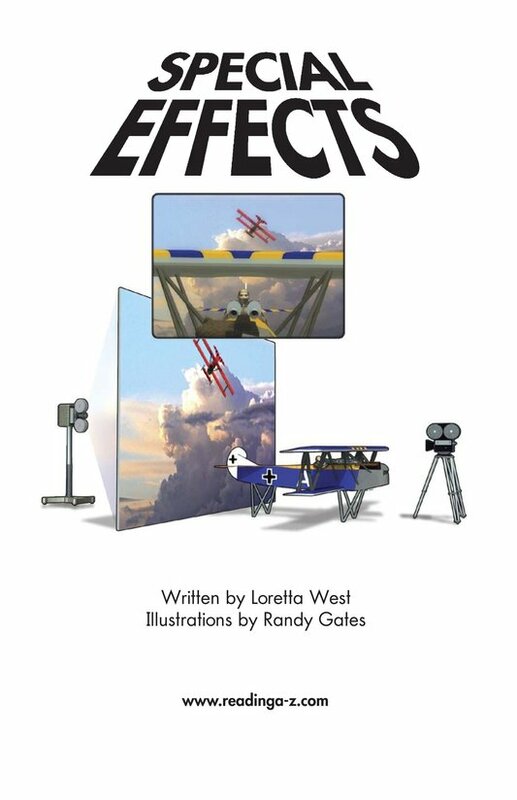 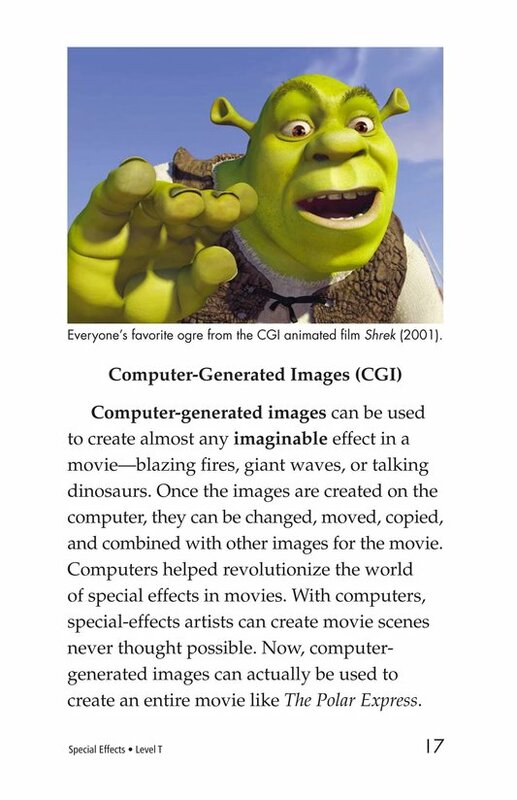 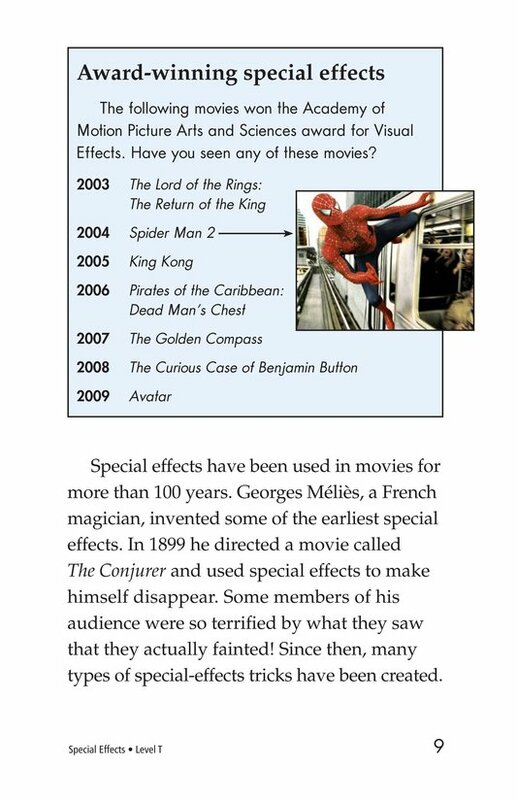 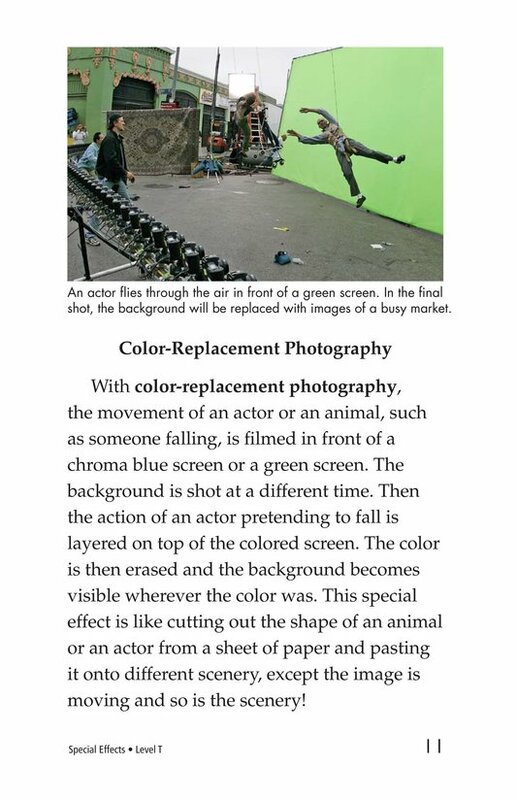 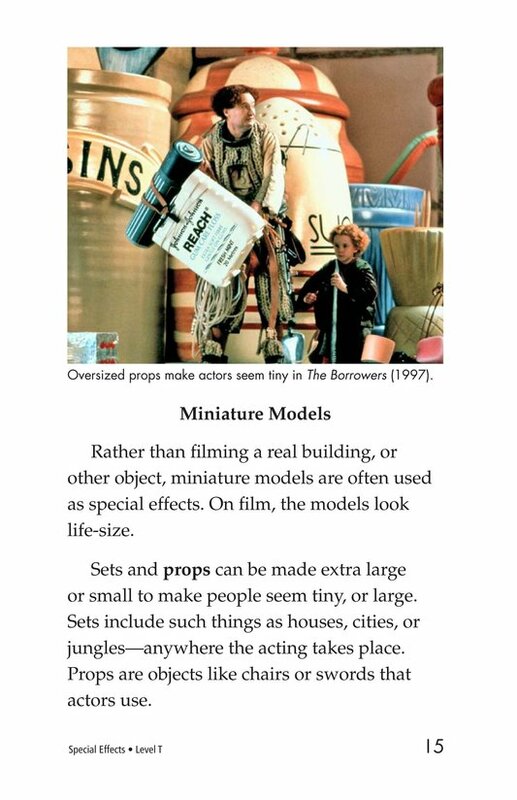 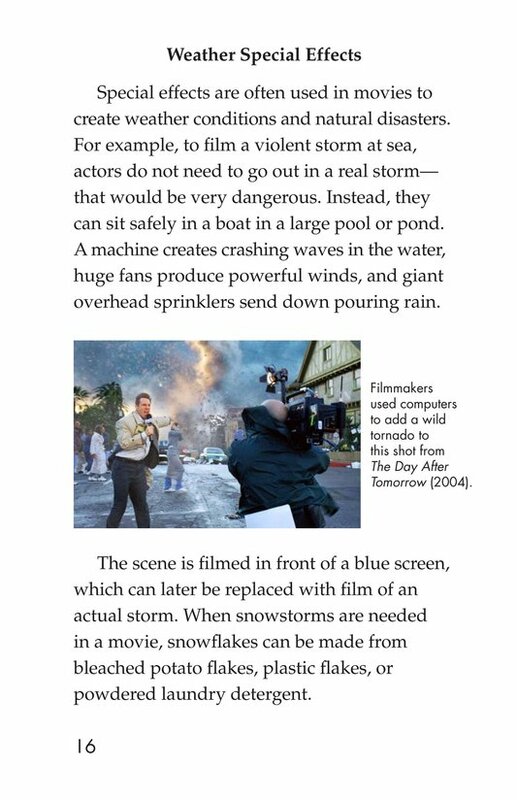 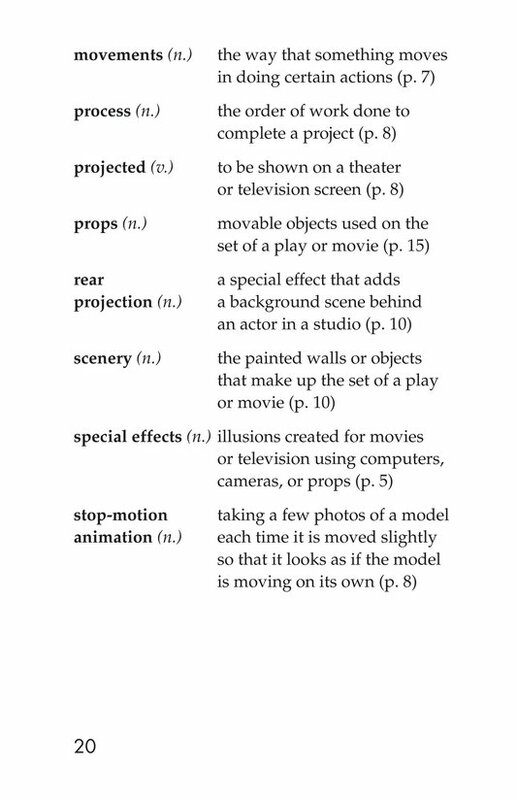 Types of special effects are discussed in relation to their evolution in the movie industry. 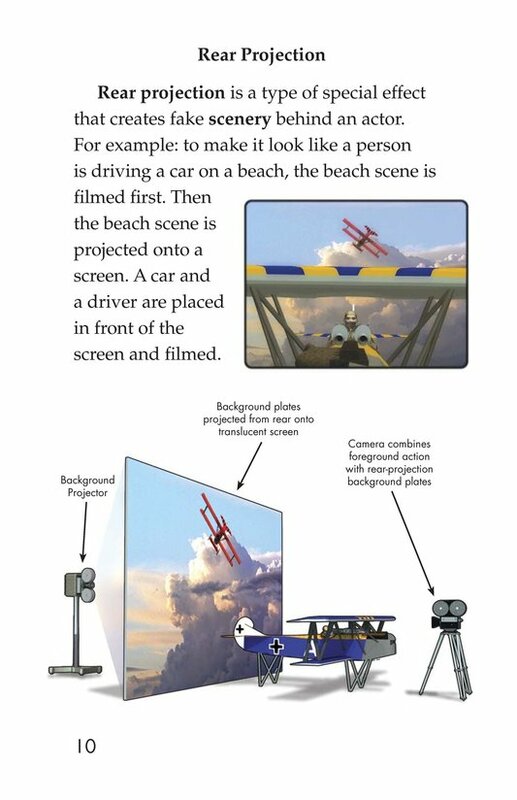 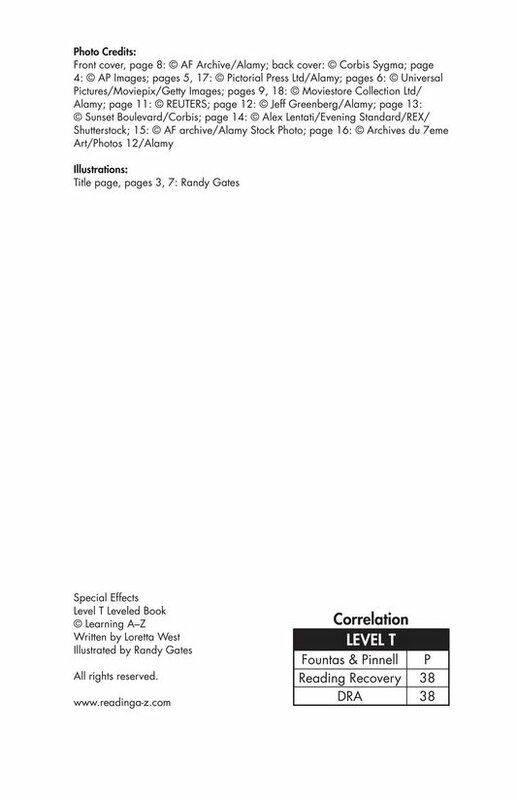 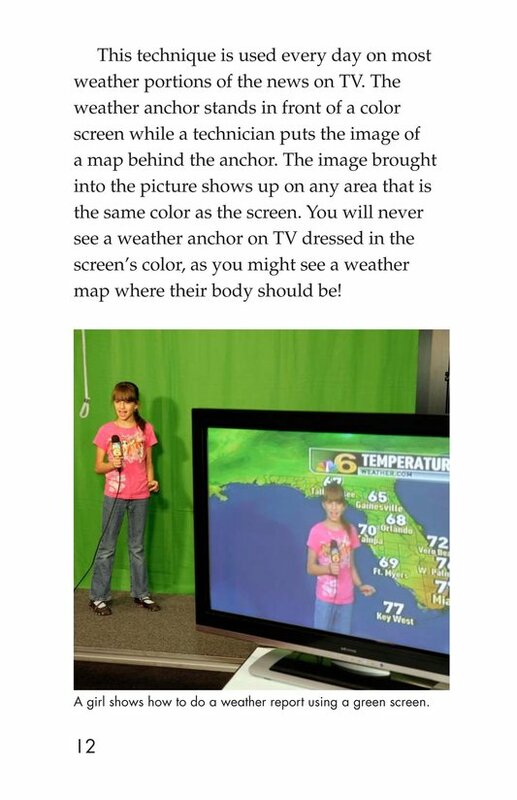 Photographs, illustrations, and timelines support the text.